Most travelers have one picture in their head when planning a trip to Peru…Machu Picchu. Though a breathtaking destination, the Incan ruins are just one piece of an entire country filled with endless possibilities and adventure. Whether you’re a seasoned historian hoping to discover the ancient capital of Cusco or a renowned “foodie” on a mission to savor every type of ceviche Lima is famous for, take comfort in knowing one thing – Peru is for YOU. Here at River Explorers, we take great pride in offering the best in Peru adventure tours and Peru adventure trips. We’ve had the privilege of helping an ever-growing long list of happy world travelers make their Peruvian dreams a reality. We couldn’t be more excited to do the same for you. We provide itineraries for every type of traveler so that you can focus on what really matters…having an amazing trip to Peru! Which Peru adventure tour will you choose? Machu Picchu is without a doubt one of the most breathtaking wonders in all of South America. After looking at pictures online and on your friends’ social media accounts, don’t you think it’s about time you saw it with your own eyes? Whether your goal is to take incredible panoramas of lush landscape and make friends with Peruvian llamas along the way or you’ve been dying to go river rafting with one of the river expert guides, take your pick! Every trip to the beautiful “Lost City of the Incas” can be tailored to your preferences, making it a uniquely unforgettable time. 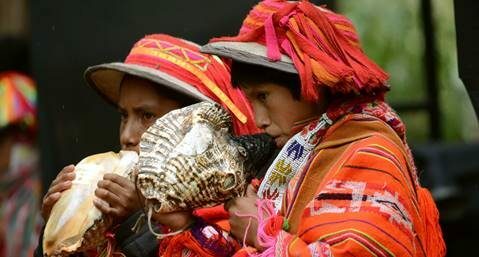 Imagine for a second that you are stepping foot along a trail that’s perfectly perched among the clouds, surrounded by snow-capped mountains where friendly Peruvians smile and wave as they invite you to experience a culture that’s been the backbone of the Andes for centuries. Well, you don’t have to imagine much longer because that could be exactly where you are in the coming months. Two, four or five-day Inca Trail hikes and memories to last a lifetime are yours for the taking with our incredible Peru adventure tours along the Inca Trail. Not only the vibrant capital of Peru, Cusco also serves as your starting point and gateway before heading off on your journey to Machu Picchu. But before and after your departure, there are some things you simply cannot miss out on in Cusco. Home to the glorious La Catedral located within the Plaza de Armas and some of the best crepes in South America, Cusco is a prime spot to relax and indulge in sightseeing and even better, people watching! Meet the friendly locals and discover what makes this capital city far from ordinary. 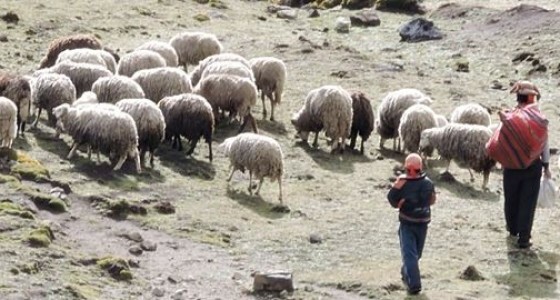 For seasoned travelers, it’s known that there is a time and a place for the “top tourist activities” right up until you decide to go off the beaten path and experience what true Peruvian life is like. You may be one of hundreds on the top of Machu Picchu for part of your trip; nothing wrong with that! However, we know you want to experience something unique – something different than what the traditional tourist desires. We hear you loud and clear! With our off the beaten path tour packages we help you discover the hidden gems of Peru where you can see what life is truly like; away from the tourist activities. 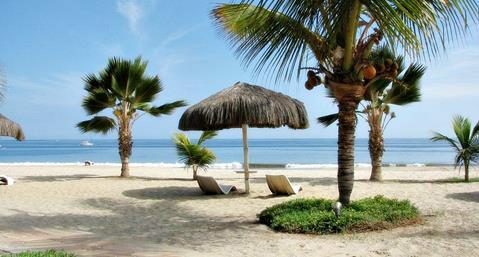 We would love to plan your Peruvian escape exactly to your liking. Up for a true adventure of a lifetime? We thought so. Start your Peru adventure trip down the Tambopata River in a secluded, remote area (1-2 hour drive from the nearest city) to take off on a bus ride elevating you 14,000 feet above sea level. Being so high up will allow for glorious views of an ecosystem comprising of a vast array of both flora and fauna unlike anything you’ve seen before. The river banks of Tambopata are home to several rare species including the giant river otters, black spider monkeys, anteaters, the giant armadillo, pink river dolphin, the anaconda, jaguar and so many more. Not many travelers can say they’ve been amongst such magnificent creatures and even more stunning surroundings. The source of the mighty Amazon, cutting through Cusco and Apurimac regions for a total of 3,000 meters (9,843 feet) in depth, what more could you want from an adventurous river rafting experience? Many even dare call it the greatest in the world…decide whether you agree or not by embarking on what we deem one of the best rafting choices of them all. Are your camera batteries fully charged? Set out on a rare adventure among the majestic Yavero River where you’ll make your way through a 2,348-meter-deep (8,000 feet) rain-forest canyon right into the beating heart of the Amazon. World-class rafting on this Peru adventure tour will no doubt be one for the books…and your Instagram feed. Passing by roaring waterfalls and Peruvian-native plants and animals before spending the night at Machiguenga Native Center of Matoriato, you may want to experience this Peru adventure trip all over again. Luckily for you, the experience isn’t quite over yet…spend the next part of your journey making your way through the Pongo Mainique Canyon to conquer the Amazon jungle before ending your trip at the great Incan wonder, Machu Picchu. There’s no denying that Peru has something for every type of traveler. From the very top of Machu Picchu to the foothills of the Andes, the coast to the teeming jungles of the mighty Amazon, Peru allows travelers to find themselves within the proximities if its borders. If you’ve never heard of the Nazca Lines, then you’re in for a real treat. Among the high desert of southern Peru, you’ll find this awe-inspiring wonder that continues to capture the attention of all whom have the privilege of experiencing them. The Nazca Lines date back more than a millennium and comprise of geoglyphs (ground drawings) sprawling across the sandy soil of the Nasca province. Though still not fully understood by experts, one thing is for certain – its unique designs and mysterious figures will stop you dead in your tracks. Soaring high above this wonder, our English-speaking guides will enlighten you as the clicks of your camera won’t know when to stop. More commonly known as the oasis of South America, the Huacachina Desert boasts a magical setting, perfect for your Peru adventure tour. Comprising of a lush island amidst a sea of endless sand, you’ll find yourself in the shades of green palm trees looking into the blue pools of the oasis. Not only does this top Peru destination offer tranquility, we’ve also got plenty in store for those looking to get their heart thumping. Hop on a sand buggy or go sand-boarding down the dunes! End your day at the oasis by watching what the breathtaking natural show the Huacachina Desert has to offer once the sun begins to do its dance along the horizon. The perfect spectacle for all sunset lovers. Ever wanted to visit one of the world’s deepest canyons? Of course you have! And now you can with one of our tour offers to explore Colca Canyon, approximately 3500 meters (11,482 feet) deep and slicing right through the Andes Mountains. Did you know that is nearly twice as deep as the famous Grand Canyon? Soaring condors, endless trekking routes and unshakeable Spanish, Inca and Pre-Inca traditions little altered since the conquistadors first arrived in the 1570 are just a few of the named highlights you’ll get to experience while on this Peru adventure trip. Take your pick between our one to four-day hiking tours! As the world’s highest navigable lake and the even more impressive Uros floating islands, how can you possibly go wrong in paying a visit? Stretching across 195 kilometers (122 miles) with a width of 55 kilometers (34 miles), you’ll be left with endless possibilities of discovery. Often regarded as one of the most beautiful cities in all of Latin America, Cusco boasts a wide range of activities for visitors and locals alike to partake in. From amazing foods and drinks to natural wonders like valleys, mountains, lakes and of course the nearby Amazon rain-forest. If there is one thing you should know about Cusco, it is that no one gets bored here. 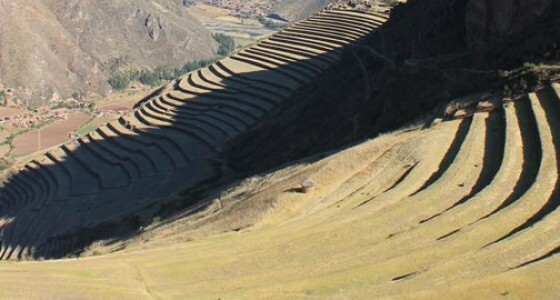 The perfect combination of pleasant climate and stunning scenery makes the Sacred Valley one of the most sought-after destinations in all of Peru. From its valleys to its rain-forest, there are several reasons to visit – hiking among Lares, mountain biking, river rafting and taking a drive to explore all its ins and outs. As by far the most visited attraction in all of South America, you better believe we have Peru adventure tours and trips for every type of traveler hoping to get their slice of Machu Picchu. From a one-day trip to a full eight days adventure tour packages, there is truly something for everyone. One of the great wonders of the world, Machu Picchu was built to withstand earthquakes and natural disasters, making it none to be reckoned with. When you choose to visit Machu Picchu you are not only choosing to see its buildings and walk along its pathways, you are choosing to be part of history. You’ve heard things about the Amazon and maybe even seen hundreds of pictures of it, but have you ever really wondered what it’d be like to come face to face with it in all its glory? Encompassing one of the richest and most diverse ecosystems on the planet, the Amazon is the perfect place to enjoy Peru adventure trips like unique rafting experiences, hiking and downright marveling its true beauty. We want you to have the trip of your life! 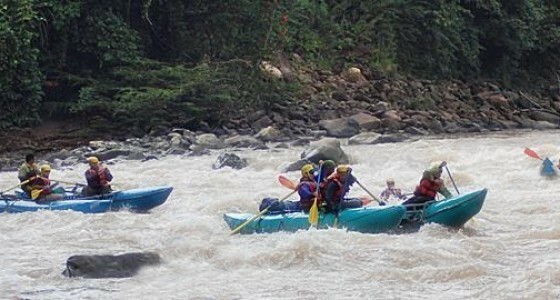 River Explorers is a small agency specializing in travel excursions in Peru. 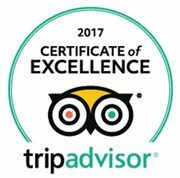 With 25 years of experience guiding travelers from all over the world, we guarantee you will have the trip of a lifetime! Peru, country full of fascinating history, incredible sights, unique cultural experiences and a paradise for adventure activities. 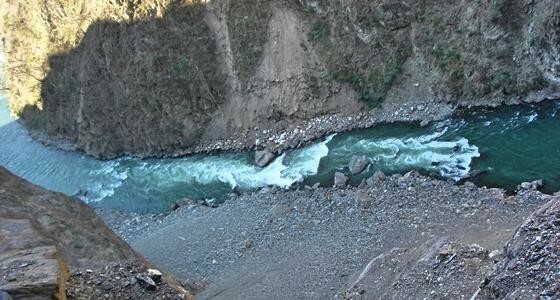 River Explorers organize adventure tours in Peru and especially in Cusco and Machu Picchu area. 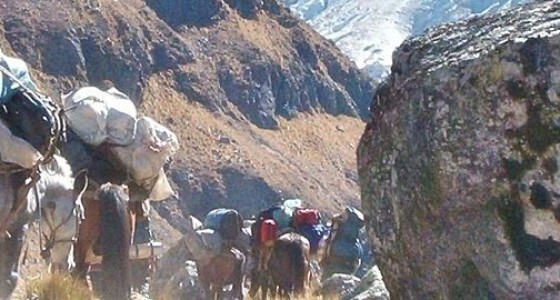 We are one of the few outfitters who offer off the beaten path treks to destinations that will amaze you with its uniqueness. Come with us! You will like where we will take you!